This an image of the main fountain from a complex of public fountains located in Piata Unirii (Union Square) one of the biggest squares in Bucharest, the capital city of Romania. 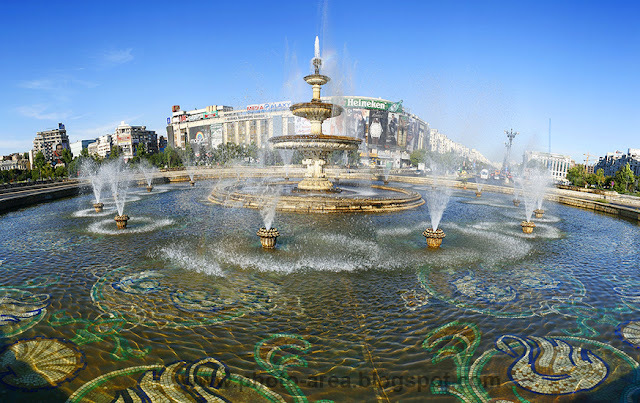 The fountains were built by the communist regime during the 80s. They are probably one of the few acceptable architectural works built by the communists in Bucharest. Although they are not very well maintained by the authorities of the city, these fountains offer a pleasant and refreshing stop in a very busy area of the city.